Being an Amazon affiliate is a great way of making money on Amazon; and that’s without needing to sell your own product. For instance, if you have a website for watches, you can sell watches from Amazon. 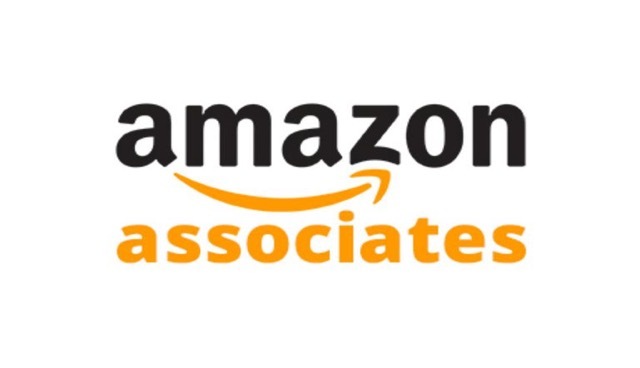 You first apply for the Amazon Affiliate Program and get approved. Once you get approved you look for the product you want to promote on your website. Make sure it is in line with the theme and niche of our website. Amazon gives you an affiliate link for each of the product you want to link in your website. This is your affiliate link and has your tracking code in it. This code allows the Amazon affiliate network to track your sales. When someone clicks through your link and buys within 24 hours, you get a commission for every item they purchase. Amazon often changes the commission rates, buying agreement and bits here and there. If you are going to look into the program, you might want to first do some homework at your end. Amazon affiliate program is the easiest way to monetize your blog. It gives you linking tools, banners, pictures and much more. You have to make 3 successful sales in the first 90 days after your affiliate account approval to qualify for selling on Amazon. For people outside the USA getting paid can be a pain in the bank. But you have options like Payoneer which gives you a virtual USA bank account details you can use to get payments from Amazon. There are 1000s of products you can promote on Amazon. If you can’t find an independent affiliate program to promote that product then Amazon is a great way to fill the gap. The affiliate commission is going to be much lower than an independent affiliate program but you get to promote the product that is actually beneficial for your niche. The commission rate varies between different types of products on Amazon. Majority of the commissions depend on the amount of product you have been able to sell in that month. If you are only able to sell 1-6 products a month then your commission rate will be around 4% of the total price. This increases as the number of products sold increases in that month. The maximum is 8.5% if you are selling 3000+ items in a month. Some Amazon products have a static rate. That means the commission rate remains the same no matter how many items of that product you sell. Amazon has great tools to aid you in the process of selling Amazon products. The link tool allows you to quickly make an affiliate link for the product you are trying to sell. It also has tools that make an advertisement that blends quite well into your website. CPM is the cost per impression. You can also get paid $1 for every 1000 adverts. You can set the target and Amazon will deliver the ads that meet or beat that target. Amazon typically falls short for this. Affiliates have continually written about their bad experiences with Amazon support. Especially if you have a banned account, the support is extremely hard to handle. You can only have one Amazon account, so if that gets banned and you create another one, it is most likely to get banned too. Amazon payments occur approximately 60 days after the end of the month of what you’re getting paid for. Just make sure your payment data is up to date before the start of every month. If you want to promote a product from Amazon UK store as well as Amazon US store then you need to sign up for them independently. Both have their own approval process and that can be somewhat a headache for you. Reporting tools are quite comprehensive. You can track how many clicks, impressions, and conversions you are getting. You can create tracking IDs if you have multiple websites to see how they are performing individually. You have to identify yourself as an Amazon Associate on your website. Don’t use your Amazon Affiliate products in emails or offline products such as ebooks. Don’t use your own affiliate links to buy products. Be careful of displaying the price as it changes a lot. If you are showing incorrect prices then Amazon can ban or suspend you. Don’t automatically redirect users to Amazon. The user must manually click the link. Items keep disappearing when out of stock. One way to handle that is to link them to the search page rather than to the exact item page. One of the best things about the Amazon Affiliate Program is that you get commissions for every product the viewer buys. Even if you linked them to a cheap gadget and they end up buying a TV, you get the commission for the TV as well. Amazons affiliate program is a great resource to find products your business can market online. If you need help with creating a niche website for your amazon affiliate store. Check out our free online entrepreneur courses for information to help you turn your passion into profit.